Slice and serve pizza in traditional style with the Mountain Woods Large Acacia Pizza Peel. 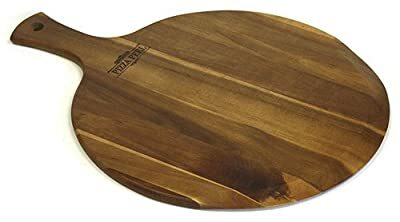 This hardwood pizza peel is beveled on the leading edge to quickly slide under a pizza making it easy to transfer from baking stone, pan or box. Do not allow wood items to soak in water.